The language of thought: how will it evolve? Truncated communication is a feature of everyday life. We imagine linguistic experts would say that while this tendency has been with us for a while, it's rapid growth is due to a diffusion of technologies and cultural adoption of their expressive possibilities. 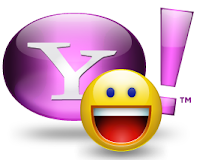 Texting and emoticons have been augmented more recently by the trend for microblogging, through Twitter and Facebook. Though linguists, psychologists and anthropologists might disagree on the degree of emphasis, we imagine that they'd concur that one of the richest ways to understand how a culture thinks is through its language. The relationship between language and thought raises an interesting question about the uptick trend in communications truncation: what impact does it have upon thinking and coherence of thought? Does one beget the other? An opinion however is not synonymous with an idea nor does it confer rigor, though there seems to be a widespread assumptiveness (or at the very least a misconception) that it does. There is an alarming casualness with which people claim expertise today, a disturbing comfort with which they adopt a tonality that suggests authority, when in reality they are far from having that earned stature. One only has to surf the net on a relatively modest number of sites to witness this in action. What do Boomers and Gen Y have in common? Boomers have redefined retirement, the latest in a lineage of reinvention they’ve left in their wake. They refuse to go quietly into the night. Unprecedented numbers of this group are giving up the porch swing (or couch) to be actively involved in volunteering. Many report it is a new – albeit unpaid – career. This cohort has an insatiable appetite for communication. They suffocate without access to IM, e-mail, cell-phones. It is their oxygen, crucial not just for staying ‘with it’ but for managing their social capital and maintaining their place in the social hierarchy. They are prolific bloggers (particularly girls) endlessly taking part in quizzes and promoting the results. Both Boomers and Gen Y share a quest for significance. Boomers are older and more secure with themselves, having achieved moderate financial success in their lives, but there is still a longing. Theirs is a desire not just to ‘do good’, but to be remembered for something meaningful. Gen Y craves popularity but the ability to express character is limited when everyone has access to the same brands. Influence has become the new medium, if not currency. By proselytizing opinions their personal brand can achieve significance across a variety of channels: through how many friends will listen to them in the schoolyard or on-line, how many friends they have on Myspace, how many followers they have on Twitter. Of course it’s ‘significance’ with a very short shelf life (especially with this ADD affected group). And that’s the difference in a core theme that these two groups share. When it comes to dissecting the brain, the subconscious can hardly be considered new territory. Freud gave it significant attention almost 100 years ago after all. 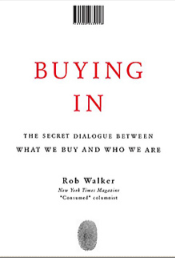 There has however been a stack of current coverage which has raised the visibility of this subject, notable contributions being Gladwell's Blink and Robert Walker's Buying In. Neuroscience has recently shed light on previously unknown processes and activities. 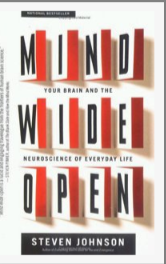 Mind Wide Open ably provides an accessible introduction to this emerging field. All three sources reach the same conclusion. Much of what we believe is ‘free-will’ is apparently far from it. Brain activity below the surface of our awareness accounts from much of what we do, and has an inertia that carries through to our conscious realm. It’s a theme affirmed in this week’s The Economist. In describing the use of brain imaging upon people given tasks to solve, it reports that EEG traces preceded conscious awareness by a participant of an ‘aha’-type moment by some eight (8) seconds. More curious still, while not all participants solved the task, the character of how brains ‘lit up’ was predictive of which people solved the challenge and which did not. 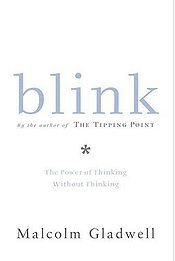 While the idea of a subconscious is not new - nor is the idea that its processing takes place beyond our ability to access or influence it - such activity is not thought of as, well, thinking. The findings from the study by Dr. Bhattacharya and Dr. Sheth are exciting precisely because they suggest that it is. So while the magazine's reference to it as 'unconscious thought' might at first appear counter-intuitive, it is highly apt. Colbert's chutzpah created colossal cosmonaut calamity. In the spirit of modern brand engagement, NASA decided to invite people to vote for the name of a new room in its space station. Crowdsourcing is in vogue because soliciting participation encourages involvement and belonging (hence enhanced attachment). It's also part of a wider democratization, a trend fueled by the internet and social media in which people participate in brands rather than them being formally planned and imposed by anointed architects. It comes with risks however, as NASA discovered. 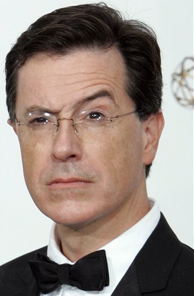 Its failure to stipulate that choices were only among those listed gave Colbert the latitude to encourage his devoted followers to write-in HIS name, which thousands duly did. In an additional failure to understand the cultural climate in which it exists, NASA has announced that it reserves the right not to adopt the winning name and select an alternative. Asking people for their opinion and then not listening to it is a sure-fire way to evoke a backlash. Better not to be involved than actively ignored. One hopes that NASA will come to their senses and that next time it will frame participation in a way that avoids unanticipated - and in this instance unwelcome - contributions.